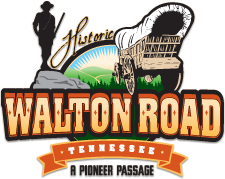 The Byway links a series of views to rural historic landscapes that are evocative of the pioneer era and frontier culture that shaped the Cumberland Plateau region. Included in these views are the Walton Road traces, or old, sunken roadbeds, many of which can be seen veering off from the Byway as wooded passages; these traces traverse rural landscapes that remain largely unblemished by development and are highly evocative of the historic landscapes viewed by pioneers. The traces, as well as the rural pattern of human settlement on the Plateau, reveal how they occupied this geographic area and how natural features influenced human activity on the land. 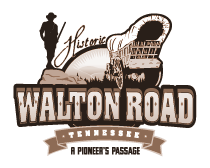 Unlike most modern roadways the original Walton Road followed the terrain of the Plateau. The character of the road was largely dependent upon the existing terrain; this reflects the historical approach in which roadways were constructed at that time. In a similar way, agricultural land was settled based on the favorability of the terrain for agricultural practices. This pattern of land settlement can still be seen today from the Byway, thus evoking the character of the rural landscapes as they were settled by early pioneers. In addition to evoking rural scenes that are much as they were during the early 19th century when the Walton Road was established, many of the landscapes qualify as high quality views. Such views include overlooks, picturesque waterfalls, and scenic waterways.